When you are seeking the best single-pin bow sight you are looking for quality materials, accuracy, ease of use and cost-effectiveness. Single-pin bow sights are increasing in popularity for novice and advanced archery enthusiasts and hunters. A single-pin sight allows for increased accuracy with a reduction in sight clutter and blind spots. Single-pin Sights: These sights only have one aiming pin. They have become popular over the recent years because of their capacity to offer a precise point-of-impact for multiple distances. For example; if you range your game at 35 yards, simply adjust the sight to the 35-yard mark and voila! Because there is only one pin, you reduce sight clutter and blind spots. Having only one pin in the sight’s housing will offer you an unobstructed view allowing you to find objects that could get in the way of brush or tree limbs. The downside of the ease of use and adjustable sight pin is that it will take time to make your adjustment. If your intended game is on the move, you will need to adjust your pin. Thankfully there are many single-pin sights that allow for quick, one-handed adjustments with minimal body movement. Multi-pin Sights: Ever since modern archery was reborn, these sights have been around. These sights offer point-of-impact aiming for predetermined distances. Often, a multi-pin sight has between 4 and 6 pins that can be adjusted. It is very important to carefully select the correct pin for your shooting distance. 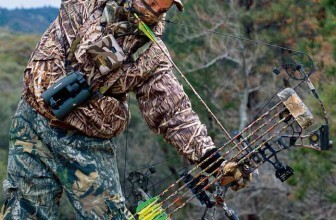 Because you have multiple pins, you can quickly adapt to the ever-changing conditions of a hunting situation. Of course, the perk of quicker target acquisition does come with a catch. Every pin is meant for a specific distance and this means that when you need to shoot between the predetermined yardages it will need practice and a little guesswork. This issue is referred to as “pin-gap sighting”. Every hunter understands that there is a big difference between hunting on level ground or in an uneven or elevated area. For those who like hunting out of tree stands, it’s important to realize that you’ll likely require a different type of sight which will compensate for downhill shots. 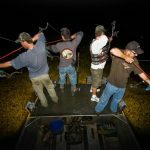 And since most hunters spend the majority of time on the ground than in tree stands, adjusting for this downhill shot can be really tough. 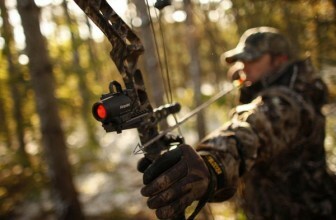 Hunters who instead invest in a pendulum sight will become instantly more accurate. It’s going to take a little bit of practice to really get the hang of it but once you’ve mastered it, the elevated shot will become a breeze. If you’re someone who is looking for a sight more designed for competition, you’ll be looking for what’s known as a target sight. These are not designed for hunting but instead for target shooting. Although some hunters may use competition sights, I don’t necessarily recommend them just based on price alone. However, competition sights do have a number of features that would make it extremely attractive to a hunter. Some of these features include click adjustments for wind and elevation needs as well as a quick-disconnect system for mounting or remounting the site. Ultimately, a competition sight will provide you with tremendous precision which is of course ideal for a hunter. 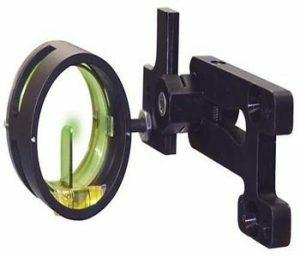 Once again, the only drawback is the price although if you’re able to afford it, a competition sight might be our choice for the best overall pin bow sight. bodied sight with a 2.25″ scope. The pin module is reversible and can be used for either right or left handed applications. The pin is made of green fiber. It is an incredibly affordable unit with no complicated gimmicks. Customers are very pleased with the price, the optic pin, the simplicity, and the accuracy. You will be hard-pressed to find a better quality sight for the price and customers literally have nothing bad to say about it. The Spot Hogg Tommy Hogg Sight is priced well and the majority of customers have rated it a 5-star sight. It has an average 4.8-star rating on Amazon due to an 8% dissatisfaction rate of all reviewers. It is a moveable single pin sight that offers quiver clearance and front controlled distance adjustment. You do not require any tools to make adjustments and is made of solid aluminum constructions. 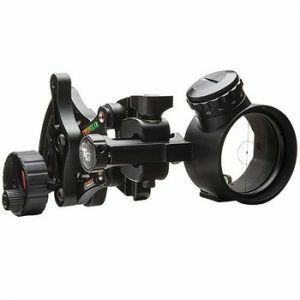 Customers are pleased the quality, setup and the price do not seem to be an issue as customers view this high-quality sight as an investment. Other customers boast about this sight being hands-down the best sight available. This sight should have earned itself a perfect 5.0-star review but unfortunately, one reviewer rated it 2 stars with no explanation as to why. 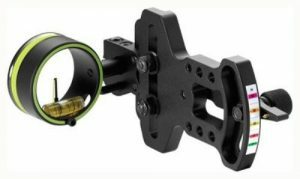 The Archer’s Choice Range Rover Pro Green Dog Sight offers archers an adjustable distance stop, elevation adjustments, and a micro correcting wind adjustment. 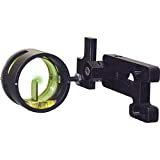 The housing for the scope has a half inch circle with an illuminated green dot in the center in order to improve long range accuracy. The sight is adjustable for either right or left-handed users. Most customers are extremely pleased with this unit, rating it at 4.7 stars. Satisfied customers rave about its ease of use, quality, and price. One customer even pointed out that this sight is wonderful for customers who need to use bifocals or transitions. Customers who were less than satisfied with the product discussed issues with the retailer and quality. One customer received a unit that was missing its labels for yardage and then their light stopped functioning. Other customers also experienced an issue with the LED light dying. There have also been questions of legality brought to the table, so check with your local state laws before purchasing this unit for hunting. 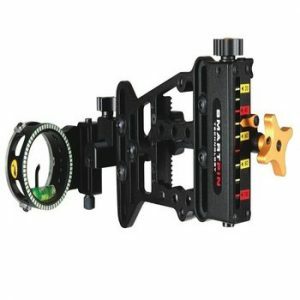 The Trophy Ridge Driver Slider Sight is sitting at a 4.1-star review from customers. This affordable sight is jam-packed with features that traditionally cost a lot more. The sight is meant to deliver variety with limitless pin settings and silent, smooth adjustments. The mixed reviews on this sight indicate a need to exercise caution when considering its purchase. Happy customers are pleased with the easy installation and adjustments as well as the quality and price. They are happy with the bright optic fiber and the LED light. For the price of this sight, customers rave about its outstanding performance and accuracy. Customers who were displeased with their purchase complained about it being unable to go over 30 yards while other units broke or came in with missing parts. When customers attempted to resolve their issues with Trophy Ridge, they found the customer service to be unsatisfactory. 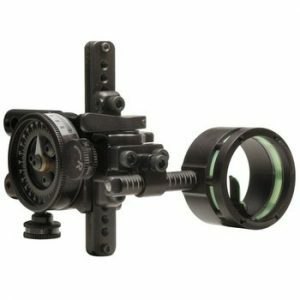 The HHA Optimizer Lite Sight is meant for right handed applications. This single pin adjustment sight offers yardage tape that is marked off at 5-yard increments and an easily used dial adjustment. This sight does not accept a lens kit or light. The sight housing is 1 5/8” with fully protected fiber optics. Satisfied customers have rated this unit a whopping 4.9 stars making it well worth the price tag. There are no customer complaints to be found on Amazon while customers freely rave about the quality, ease of use, accuracy, aesthetics, price and fast arrival. The Trophy Ridge 1 Pin Sight is meant for right handed applications. Trophy Ridge uses “smart pin” technology in this unit in order to increase accuracy. 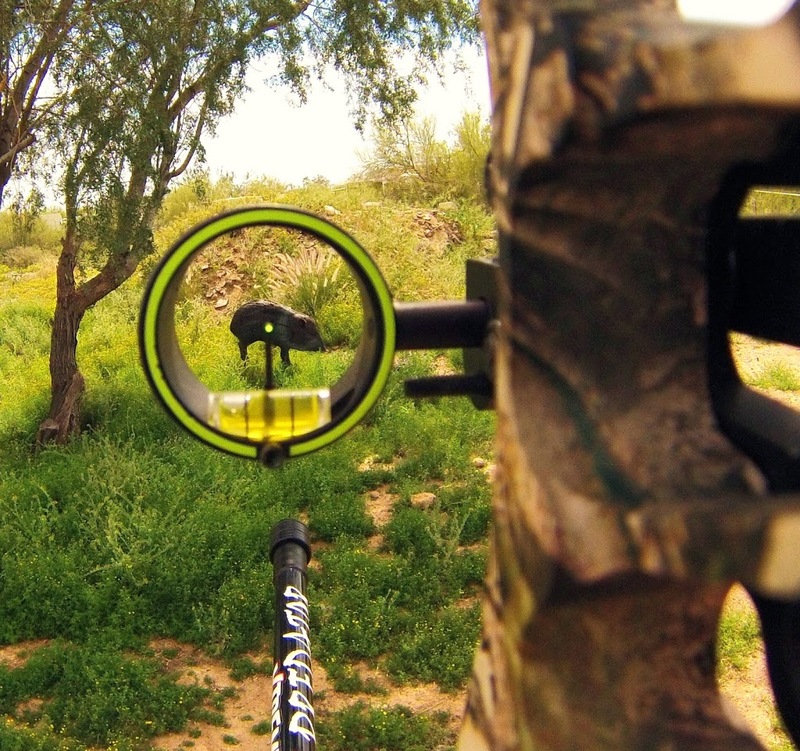 The tool-free system offers refined accuracy for long distance shooting. The sight is constructed out of 100% aluminum. It has a positive stop at the 20-yard mark in order to take advantage of fast target acquisition when you are in the field. 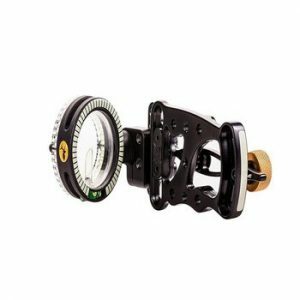 It contains multiple mounting holes in order to increase versatility, yardage stickers between 20 and 100 yards, sight level and rheostat light. This unit has a 4.8-star customer rating on Amazon.com for a bargain price. Happy customers are very pleased with the product quality, accuracy, ease of use, range, and price. There was only one negative remark about the sight and it came to 3D shooting. 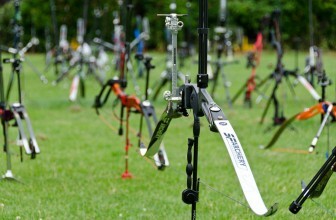 The smart pin technology seems to lack the micro-adjustability that is necessary for 3D archery enthusiasts. This customer preferred other sights for this specific application. Evidently, when you are choosing a quality single-pin bow sight, the price is not the factor you should be considering. Ensure that you are shopping around and choosing a sight that is easy to adjust and easy to use. With the popularity of single-pin bow sights on the rise, look past gimmicks and unnecessary additions. Choose a sight that allows for increased accuracy while taking advantage of the reduced blind spots and sight clutter that multi-pin sights sometimes cause. Archery is all about the basics and following your own innate abilities and instincts, choose a sight that compliments these skills. And if you’re one of those people who want to go hunting without a sight as it provides a more primitive appeal, I do want to appeal to the humane side of the argument. 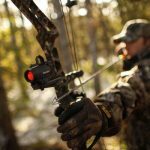 The best single pin bow sights will provide you with advantage to ensure you’re hunting skills are optimally providing you with the best chance to take down your prey the first time. If there is something that upsets me most is seeing an animal unnecessarily suffer in a completely preventable way.